One of the reasons I love living in Austin so much is that there are so many locally owned and operated restaurants. One of my all time favorite Austin restaurants is Z’Tejas.  Z’tejas started out in 1989 on Austin’s famous 6th Street in a historic downtown house. Since then the restaurant has grown and now has 2 more locations in Austin and 6 more locations across the country including locations in Salt Lake City, UT, Phoenix, AZ, and Costa Mesa, CA. Not only is the dining experience unique and eclectic at Z’tejas but the food is outstanding! The menu, largely influenced by the south, signifies the bold robust flavors of Arizona, California, Louisiana, New Mexico and Texas. I have eaten there many a time and never been disappointed! On Saturday and Sundays they serve a scrumptious brunch with migas, breakfast enchiladas, and breakfast quesadillas. Every brunch item comes with your choice of a apple bran muffin (which is extremely moist with apples, shredded carrots, and raisins in it) or a banana nut muffin (ok- but not my mom’s) and a bowl of fruit. chicken and goat cheese (another favorite). And their tortilla soup is also amazing with fresh avocados in it! Every day each Z’tejas has a daily entree special and a daily dessert special, so you will never tire with their menu. During their Happy Hour appetizers are half off and consists of Jumbo Quesadillas, Chile Pork Verde, Ahi Tuna, and several more. You sure can’t beat half price! If you happen to be in Austin then the 6th Street location is a must, if not try to check out Ztejas in at one of their other locations. I promise you, you will NOT be disappointed!